There are so many fun reasons to celebrate in June like the first day of summer, the last day of school and…Pink Flamingo Lawn Ornament Day! Some of these national holidays in June you may have heard of and some may be completely new to you. Here are some fun little known holidays worth celebrating! June 1st – Say Something Nice Day: Seems funny that we should need a holiday to celebrate something that we should already be trying to do on a regular basis. Oh well, a little reminder never hurts! A great craft for the kids is to make homemade cards for someone special in their life that they’d like to say something nice to. This could be a teacher, a sibling, a friend, a relative – I’m sure your kids will have lots of ideas! June 2nd – National Trails Day: What a great reason to pack up a picnic lunch and head out on some local trails in your area. You could do a little bird watching, explore new nature areas and just have a fun outdoor day with the kids. June 5th – Hot Air Balloon Day: Did you know that hot air balloon rides have been around since 1783? Wow! Here’s a fun science demonstration that you can try with your kids to create your very own hot air balloon! June 6th – Drive-In Movie Day: The first drive-in movie was in New Jersey on June 6, 1933. 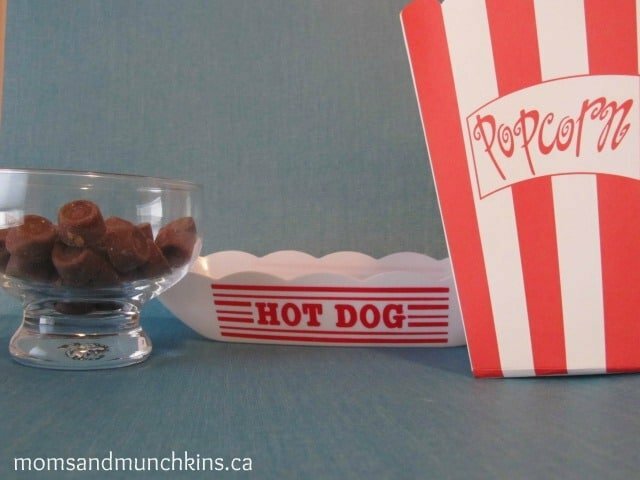 This would be a great day to go to a drive in movie with the kids or even to create your own drive-in movie theatre at home complete with a movie concession stand. June 14th – Family History Day: This would be a great day to do a family tree craft with your kids. June 15th – Nature Photography Day: Grab your cameras and head out to a local park to do some nature photography with the kids. It’s a great way to teach them to appreciate nature. You can use your pictures to create a few fun scrapbook pages of your adventures. June 15th – National Flip Flop Day (3rd Friday in June): I LOVE flip flops! Where I live, our winters are full of snow so wearing flip flops isn’t an option. As soon as the snow melts, out come my flip flops and I start wearing them again until the next snowfall! This is a great reason to plan a fun summer party. Here are some fun party ideas for National Flip Flop Day. June 19th – Garfield The Cat Day: Did you know that this lasagna loving cat has been around since 1978? Celebrate Garfield’s birthday by enjoying a lasagna feast with tiger tiger ice cream (orange and black striped ice cream) and watching some Garfield movies or reading some Garfield comic books. June 20th – Summer Solstice: This is the longest day of the year and a great reason to celebrate summer. Hosting a fun family BBQ for Summer Solstice would be fun for the entire family. It’s a great way to kick off summer! June 23rd – Pink Flamingo Lawn Ornament Day: Chances are that you don’t have a few pink flamingos in your garage waiting for a chance to be put on display in your yard. Here’s a link to a free printable coloring sheet – you could have your kids color some and display them in the yard. You could fill the day with pink by enjoying pink lemonade, pink cupcakes, dressing in pink – so many fun possibilities! June 24th – International Fairy Day: Does your child have a favorite fairy? Perhaps it’s Disney’s Tinkerbell or maybe it’s the Tooth Fairy (who doesn’t like a fairy that drops off money while you sleep, right?!). You could celebrate this day by having a fairy princess tea party or watching a movie featuring your child’s favorite fairy. Perhaps even make a fun pancake breakfast sprinkled with fairy dust sprinkles! June 27th – Happy Birthday To You Day: Did you know that Happy Birthday To You was composed in 1859 and it is the world’s most popular song? Why not celebrate today by having a fun “Not Your Birthday Day”! Celebrate as you normally would for a birthday with fun games, balloons, small gifts and cake (can’t forget the cake!). You could draw names to see who is responsible for buying one small gift for each family member and then take a fun trip to your local dollar store to pick out a few fun Not Your Birthday Day gifts. June 15 – 17 Duct Tape Days: Some people say duct tape can be used for almost anything. What’s your favorite use for duct tape? I bet there are some fun ideas for duct tape crafts that even dad would want to participate in! June is National Camping Month: Not all National Holidays in June are a 1-day celebration – some last all month! This is a great reason to make a trip to a local campground. Not able to make a trip out of town? No problem! 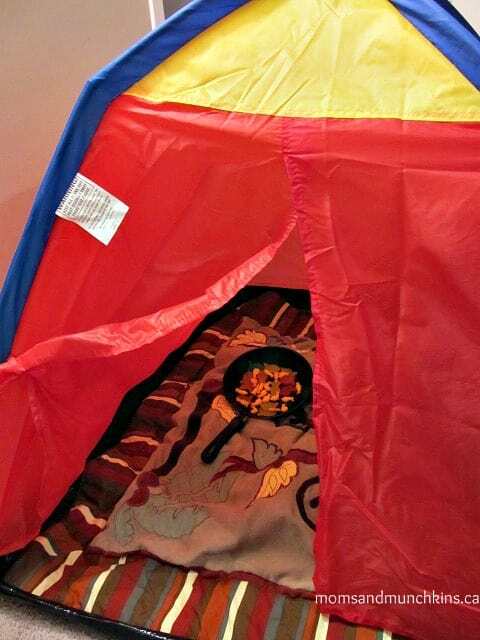 Try these fun tips for camping indoors at home! Do you know of other national holidays in June? Which of these national holidays in June will you be celebrating? Want more fun ideas for silly & little-known holidays? Follow along on Facebook, Twitter, Pinterest and Bloglovin’. *Visit Brownielocks & The 3 Bears for a full list of National Holidays in June that you can celebrate with your family! She has the most complete list of holidays that I’ve seen. I have not looked to see what national holidays were in June yet, thanks for the list. I may have to make a note of this to reference for some fun ideas this June!